A young farmer who found two of his pregnant ewes with slashed throats said the experience sent shivers down his spine. 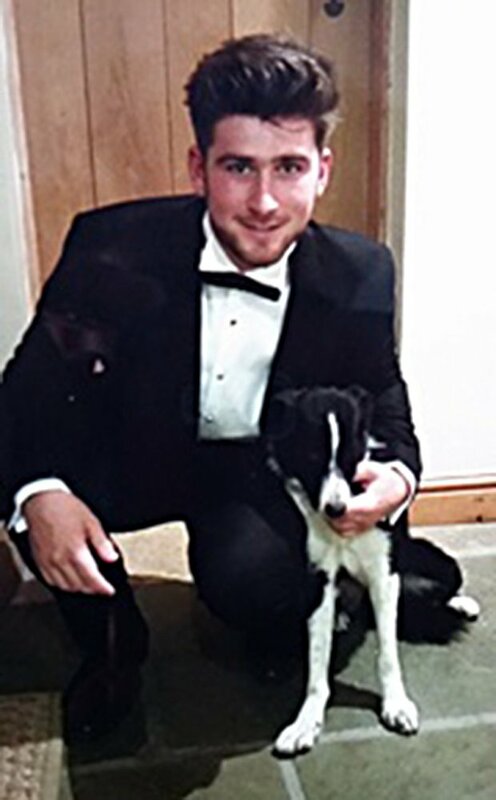 Harry Plant, 18, found the gruesome scene in his field at Avon Valley Farm, Swinford, in Leicestershire on Saturday morning. In an emotional post on Facebook, which has gone viral with over 4,000 shares and thousands of comments, he uploaded of a photo of the murdered ewes. It read: "So this is what I was greeted by when I went to feed some of my sheep this morning. 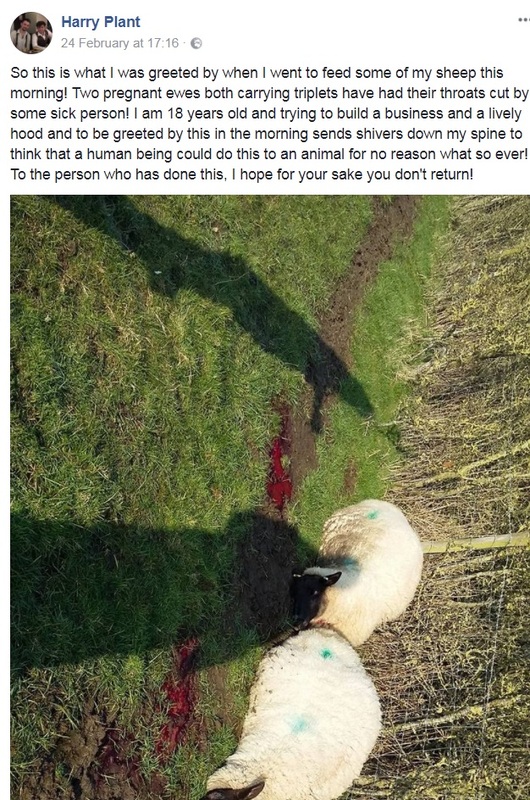 "Two pregnant ewes both carrying triplets have had their throats cut by some sick person." "I am 18-years-old and trying to build a business and a livelihood and to be greeted by this in the morning sends shivers down my spine to think that a human being could do this to an animal for no reason whatsoever." 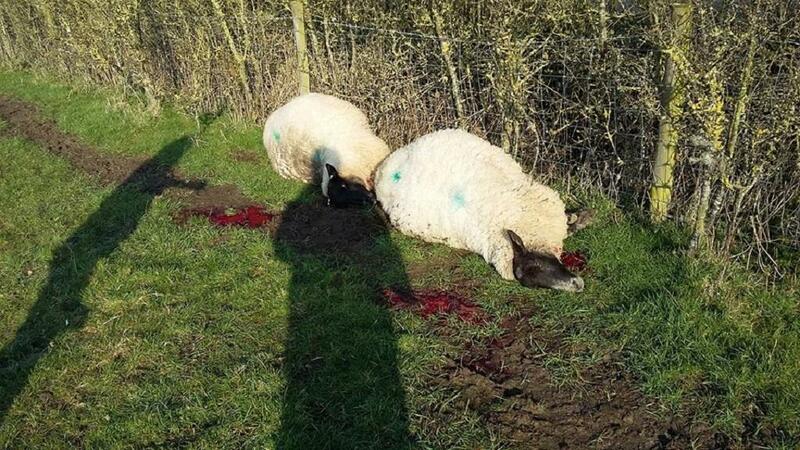 He told Farmers Guardian: "I went into the field in the morning to feed some of them and found the two dead ewes in the picture tucked under the hedge in a very suspicious way with their throats having been slit. "It made me feel very angry and upset that somone could do that to an animal but also that somone could do it to another person’s business. Leicestershire Police are aware of the incident and anyone with any information is urged to call 101. Debbie Boylan added: "OMG that’s absolutely barbaric what the hell is wrong with people, I’m embarrassed to be a human." Jacqueline Simmonite commented: "Sick individuals. Hope you can get over this. You are obviously committed to your animals and business. Not all people are are bad and you can see that many are horrified by what has happened. I wish you well for the future."